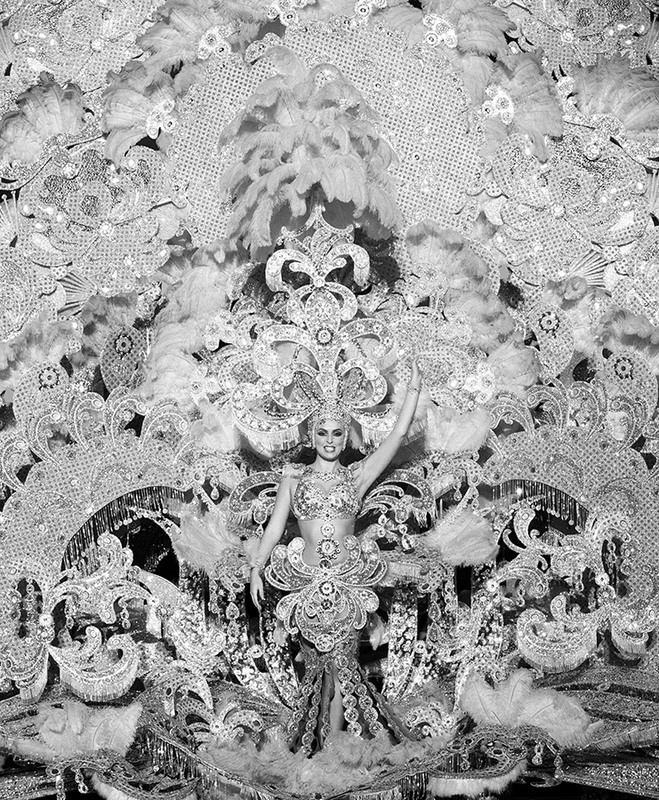 Cyril Porchet Photographed Tenerife’s carnival beauty queens in a frontal and systematic way. He selected these queens according to their exuberance and the degree of their costumes (everything visible in the image, except the woman, of course, is an element of the costume). He photographed these queens as they were strutting for the jury of the carnival Beauty Queen contest, and in such a way as to produce a visual saturation verging on abstraction through which their extravagance overwhelms the senses. These queens paradoxically vanish behind their opulent costume to form a single chaotic architectural pattern».